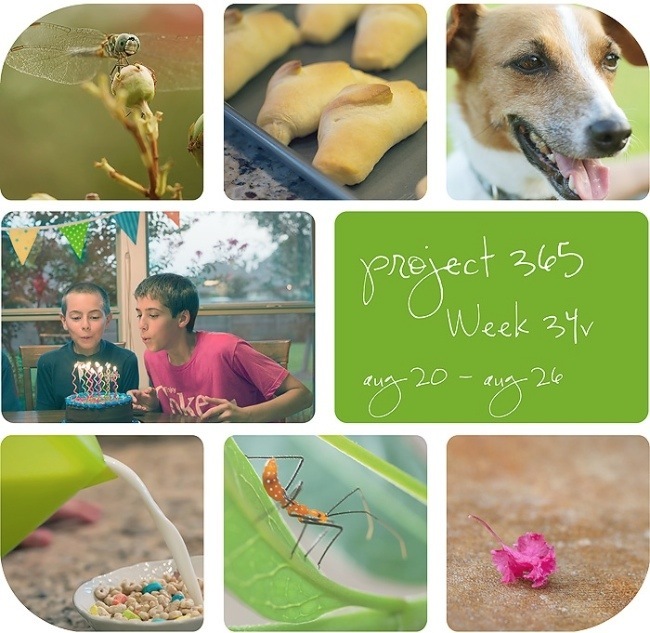 I always look forward to your 365 weekly posts! The cereal one was fun! Love your 365 project! Great photos - that bug is awesome! Great snapshots! The dragonfly shot is awesome. Happy belated birthday. Have a great day! You have so many fun shots this week! Love the dragonfly. Did Mason turn 14 or 15? I seem to remember he's about the same age as my oldest (14). I have to say.. I think my favorite shot is the cereal. ;) Were nuts for cereal in our house! beautiful.. Love that cresent roll shot!!! These are all such great shot.. But that dragonfly is amazing..
Wow. Awesome shots deb. I love the dragonfly shot. I love cresent rolls. Thanks for linking up. Great shots .. my fave is that Maisy! Oh how I looove those bug photos!! Wow! Your bug shits are really amazing. Love the milk pouring into the cereal too.